Dr. Hassanzadeh joined the Spine Surgery Division of the University of Virginia Department of Orthopaedic Surgery in 2014. After completing his Orthopaedic Surgery residency training at Johns Hopkins University, he underwent fellowship training in Spine Surgery at Rush University Medical Center and fellowship training in Pediatric Spine Surgery at Shriner Hospital in Chicago. 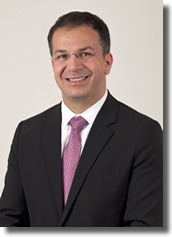 His clinical interests and expertise include complex spinal deformity and minimal invasive spine surgery. Along with his clinical interests, he is actively involved with research encompassing functional outcome in adult deformity, minimally invasive and motion preservations spine surgery and spine biomechanics. He has published numerous peer reviewed journal articles and book chapters, and has been invited to speak nationally and internationally. He was awarded the prestigious HIBBS Award for his research at the Scoliosis Research Society. My hobbies include playing guitar, spending time with my family, participating in recreational sports, physical health and fitness. Special Expertise: Scoliosis surgery, Microsurgery (minimally invasive spinal surgery) Spinal instrumentation, and Cervical spinal surgery. AAOS Best Poster, Orthopaedic Research Society (ORS) Annual Meeting, San Francisco, CA.